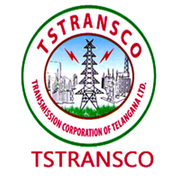 TSTRANSCO JPO Qualified & Unqualified List 2018: TSTRANSCO has announced the Result on 24 Oct 2018 for the exam which was conducted on 14 Oct 2018. TSTRANSCO JPO Final Answer Key 2018: TSTRANSCO has issued the Answer Key on 24 Oct 2018 for the exam which was conducted on 14 Oct 2018. Answer Key can be accessed from the link given below. TSTRANSCO JPO Answer Key 2018: TSTRANSCO has issued the Answer Key on 15 Oct 2018 for JPO Test 2018 which was conducted on 14 Oct 2018. Answer Key can be accessed from the link given below. Eligible candidates may apply online at TSTRANSCO's website (direct link is given below) from 11 Sep 2018 to 25 Sep 2018. Candidates log on to http://tstransco.cgg.gov.in/.